It took only one reading of this story for it to surpass Just Only John as my favorite Kent book, and only two readings to catapult it into my top ten favorite books of ALL TIME. This is another one I shelled out $20 for, and that was for a scribbled on, torn up copy that has seen way way way better days. But I am in love with it. The pictures, the story, every bit of it. Pure genius. 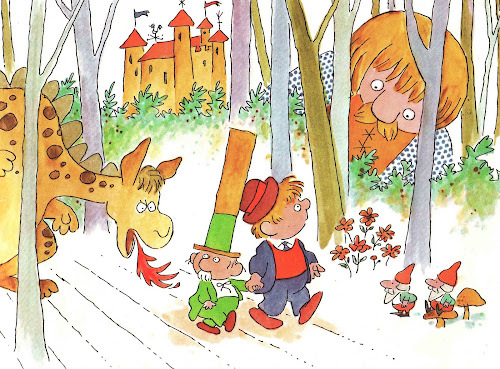 Mr. Meebles was a very short man with a very tall hat and a very big problem. 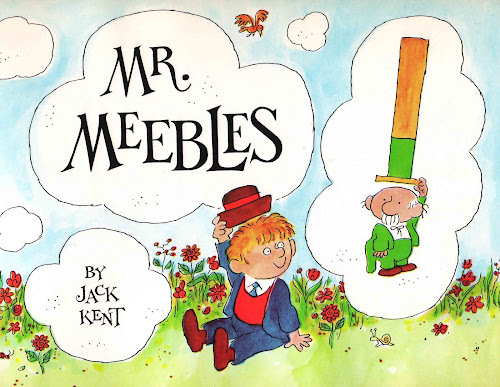 Mr. Meebles' problem was that he was only make-believe. 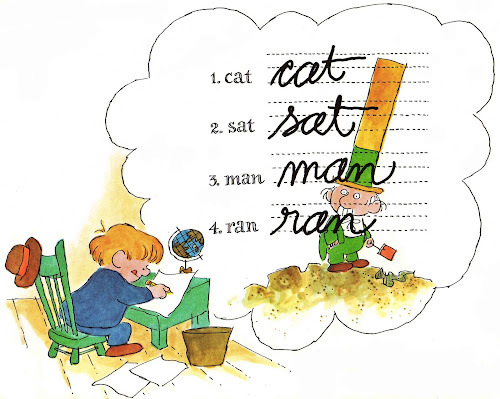 A little boy named Donald had imagined him one day when he didn't have anything else to do. 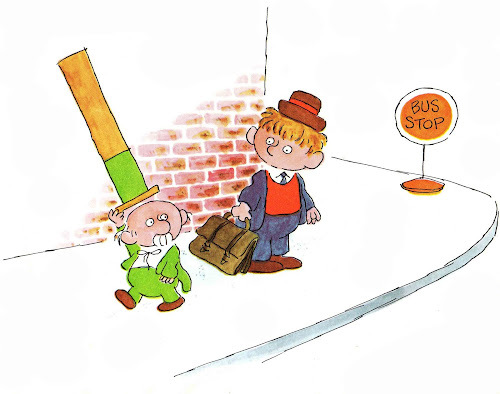 They had exciting adventures together because Mr. Meebles' hat was magic and could make things happen. One day, while they were having an adventure full of pirates and parrots and pieces of eight, Mr. Meebles asked Donald, "Where am I when you don't think about me?" "Why, nowhere, I guess," said Donald. "You're just an idea, and an idea doesn't exist unless somebody has it." Now, I've gone and said too much already. Let's just say... the events that unfold next are brilliant. Imagine if Puff didn't have to depend on Little Jackie Paper anymore to play along cherry lane. With a weeper of a twist at the end, it makes me wish there really was a loophole to keep all our childhood imaginary friends alive forever. How sweet would that be? Another one I don't have! AAAAaaaarrrgh! I have a recurring Jack Kent search on eBay, and whenever one comes up I don't know, I always check here to see if there's a review. Just scored Mr. Meebles for $8! Can't wait! Thanks as always for reviewing all these!